HELP PROTECT MAINE'S STATE HERITAGE FISH BY VOLUNTEERING FOR, SPONSORING, OR DONATING TO THE JOINT NATIVE FISH COALITION, SPORTSMAN'S ALLIANCE OF MAINE AND MAINE DEPARTMENT OF INLAND FISHERIES AND WILDLIFE "STATE HERITAGE FISH INFORMATIONAL SIGN" INITIATIVE. Maine is the last stronghold for wild native lake- and pond-dwelling brook trout in the United States, accounting for roughly 90% of the remaining intact populations. The number one threat to these native trout is invasive fish introductions, both game and bait species. This initiative aims to help protect this ecologically, economically, socially, and recreationally important resource by trying to prevent the introduction of invasive fish species through bucket-biology and the illegal use of live fish as bait. Approximately 575 of Maine’s self-sustaining brook trout lakes and ponds are protected under the State Heritage Fish law. The goal of this project is to make anglers aware of the location of these waters, status, threats and the laws in place to protect them. According to several fish and wildlife professionals we spoke with, 20-30% of those found breaking the law do not know they are doing so. In many cases they do not know where they are, or did not take the time to read the rule book. If we can prevent even 10% of the accidental use of live bait where it poses a threat to wild native brook trout, and save even one water from an invasive fish introduction, the project is well worth the cost and effort. With 575+ waters, many of which need multiple signs, the material costs (signs and hardware) for this project will be in excess of $8,000. We have also had to purchase volunteer liability insurance. The manpower requirements and costs for this project are immeasurable. This includes time, gas, gate fees, camping fees, food, administration, etc., much of which is being absorbed by NFC members and volunteers. Purchase a Sign: For a donation of $55 (which includes shipping) you can have your own Maine State Heritage Fish brook trout sign. A great addition addition to your camp, cabin, cottage, fly tying room, office, (wo)man cave or business, your donation will help pay for roughly four signs. Click here to purchase a sign. ADOPT A SIGN: For a donation of $20 you can have your name written on the back of a sign and be added to the list of project sponsors on our website. Your sign will be put up at a lake or pond by one of our volunteers. Your donation will help pay for roughly two signs. Click here to adopt a sign. ADOPT A POND: For a donation of $20 per sign you can personally put up the sign(s) at your favorite State Heritage Fish lake or pond. Depending on access, waters will have between 1 and 5 signs. Write your name on the back of a sign, secure it as directed, take a selfie and send it in for inclusion in our online project photo gallery. You will also be added to the list of project sponsors on our website. Your donation will help pay for your sign(s) and one other. Email us at ME@NativeFishCoalition.org to learn more. MAKE A DONATION: Make a random donation to help offset the cost of signs, hardware, and volunteer liability insurance. Click here to donate. VOLUNTEER: We are looking for people to go into the field and put up signs. Signs and hardware will be provided along with landowner permission and instructions. You can zoom in and out, move the map within your viewing area, and click on waters to get information and coordinates, as well as a link to sign-up to post the sign(s). Once you have requested a pond(s), you will be emailed several documents explaining the process, giving you permission to pick up your signs and hardware and how to do so, and authorizing you to put the signs up. 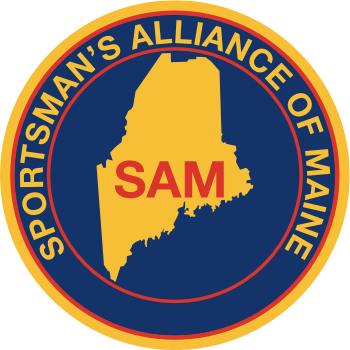 Signs and hardware can be picked up at Sportsman's Alliance of Maine headquarters at 205 Church Hill Road in Augusta. Be sure to call ahead to make an appointment and remember to bring all your documents with you. Click here for directions. It will take three to four years to get through the list of waters. By the time we do, we will have to circle back to replace damaged, lost, stolen and vandalized signs. As a result the project will never be completely "done." But even 75%, a very attainable goal, would be a huge step in the right direction. North Maine Woods, Inc., has generously offered free day access ($10 per day for ME residents, $15 for nonresidents) to NFC volunteers and one guest for the purpose of putting signs up. The number of free days will be dictated by the number of waters being addressed. To learn more click here. Maine's State Heritage Fish waters are a national treasure. 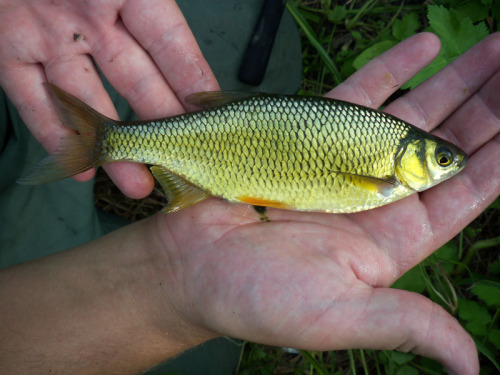 If we can save even one lake or pond from a costly-to-correct, or worse, impossible-to-correct, nonnative invasive fish introduction our cost and efforts are justified. Please help NFC, SAM, and IFW get these important informational signs posted. This project was funded in part by the Maine Outdoor Heritage Fund, in which proceeds from the sale of a dedicated instant lottery ticket ("Lucky Catch") are used to support outdoor recreation and natural resource conservation. For more information about MOHF click here. Below are two custom signs we developed for State Heritage Fish waters on Penobscot Nation and Passamaquoddy Tribe lands. These signs recognize the tribes ownership and stewardship of these invaluable wild native trout resources. Native Fish Coalition National Vice Chair, Maine board member, and founding member Bob Mallard with the first State Heritage Fish sign posted. June 2018, Misery Pond, Misery TWP, Somerset County, Maine.